In my previous post for Cheater Crochet Headbands, I worked back and forth in rows to get the rectangle from which we’d form the bow. In today’s post, I’d like to focus more on how to correctly form your rows and turn your work so that you can continue adding more rows…over and over and over. It’s important to know how many chains you’ll need in your foundation row to get the desired number of stitches in your rows. You’ll also need to know how many chains you’ll need to start your next row. In a Red Heart Yarn video tutorial, you can learn how to create five basic stitches – I will only go over single crochet, double crochet, and treble crochet. I made it so that for each of the examples below, we’d end up with 10 stitches on our rows. You will cast on 11 foundation chains. Your needle will go into the second chain from the hook. Hook the yarn to the front of the work. Yarn over and pull through the two loops. Move to the next chain and create your next stitch. Repeat until you get to the end. You have completed row 1. To turn, you will chain one and turn your work. 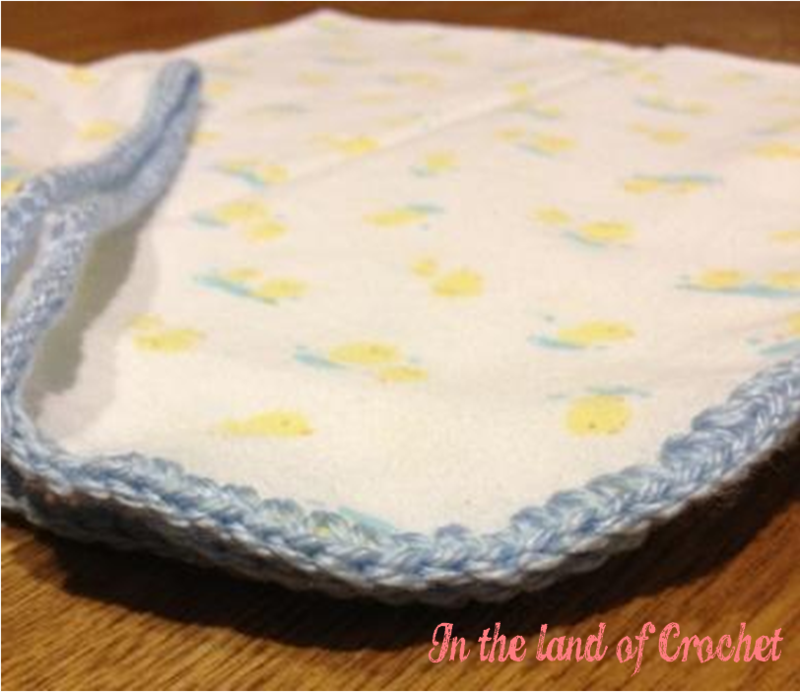 You are going to insert your hook into the first stitch, pull the yarn through the front of work and crochet your first single crochet stitch. Insert your hook into the next stitch, pull the yarn forward, yarn over, pull through two loops. Continue this way until you get to the end. You have completed row 2. Repeat instructions for row 2 to obtain as many rows as necessary. You will cast on 12 foundation chains. Your needle will go into the fourth chain from the hook. The three chains before the fourth chain will be treated as the first double crochet stitch. Yarn over and pull through the two loops. Yarn over once more and pull through two remaining loops. Repeat until you get to the end; you should have 10 stitches total, including the three chains that counted as the first double crochet. You have completed row 1. 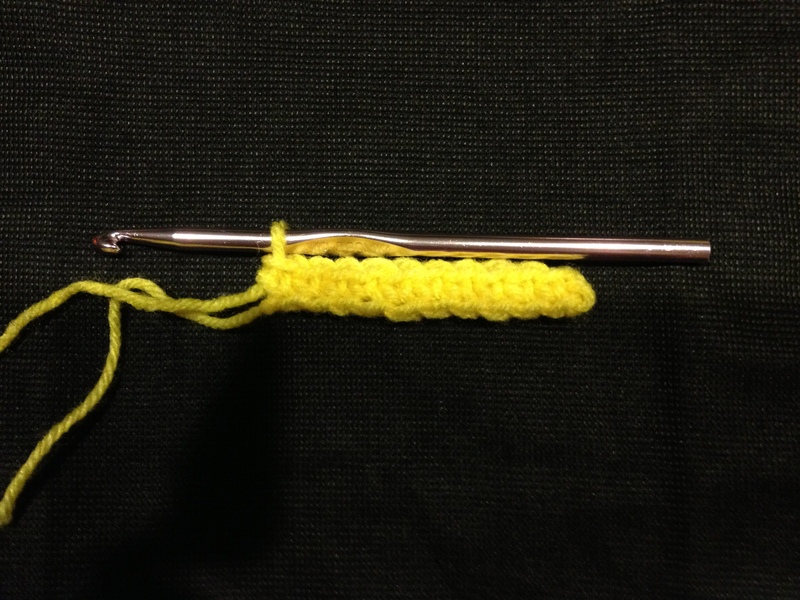 To continue to row 2: you will chain 3, yarn over once, and insert your hook into the second stitch. 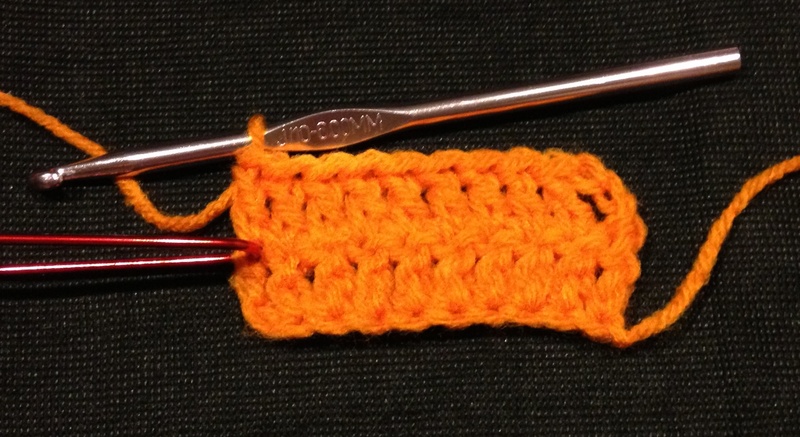 Like in the first row, the chain-3 will count as a double crochet stitch. 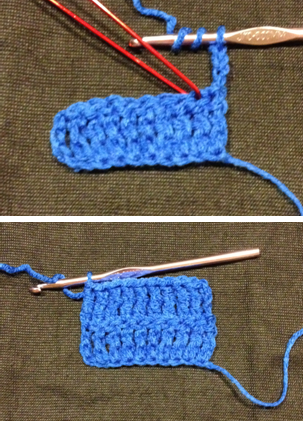 Complete a doubl e crochet stitch (yarn over, pull through two, yarn over, pull through two). Continue this way until you get to the end. 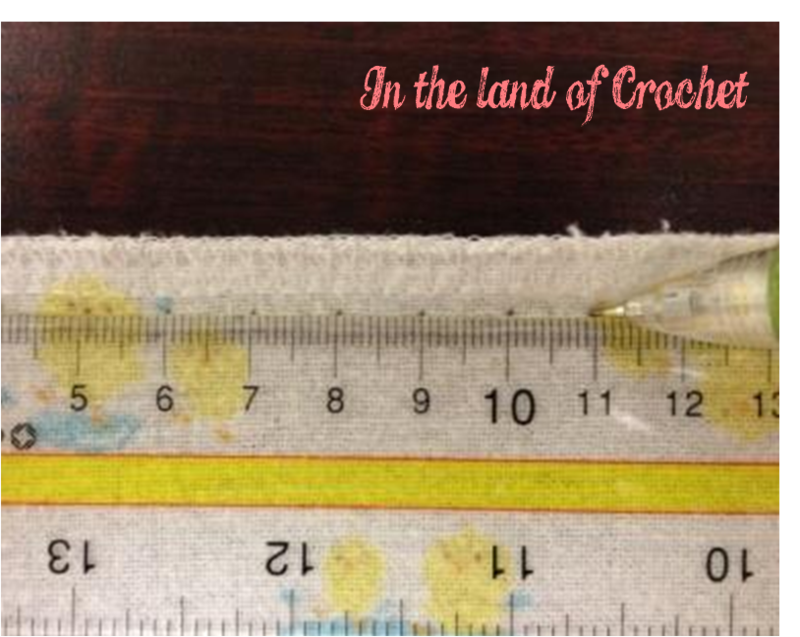 For the final stitch, you will insert your hook into what would be the third chain of the chain-3 that you did in row 1. You have completed row 2. Your needle will go into the fifth chain from the hook. Similar to the double crochet stitch, the four chains before the fifth chain will count as the first treble crochet stitch. Yarn over and pull through the two loops; do this a total of two more times. Repeat until you get to the end; you should have 10 stitches total, including the four chains that counted as the first treble crochet. You have completed row 1. 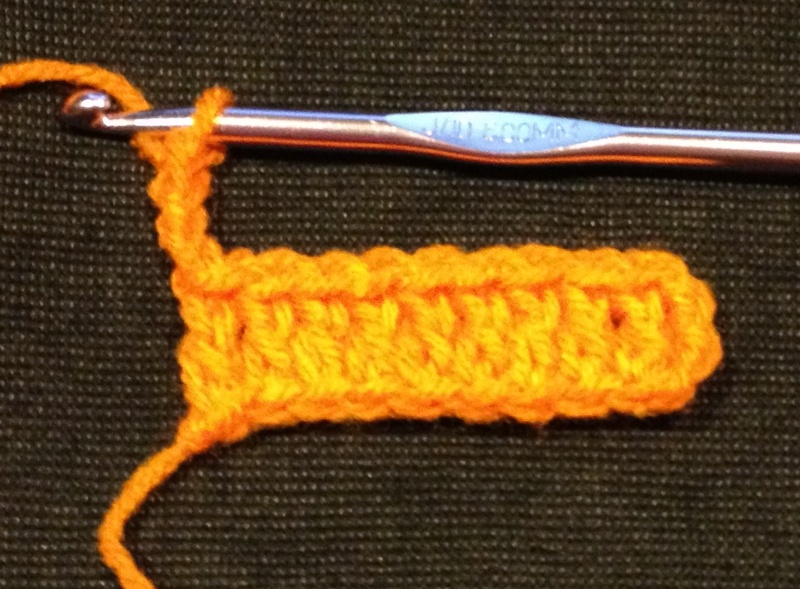 To continue to row 2: you will chain 4, yarn over twice, and insert your hook into the second stitch. 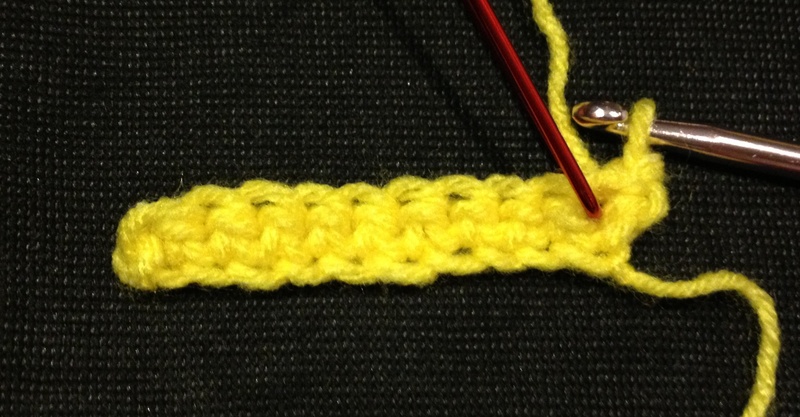 Like in the first row, the chain-4 will count as a treble crochet stitch. 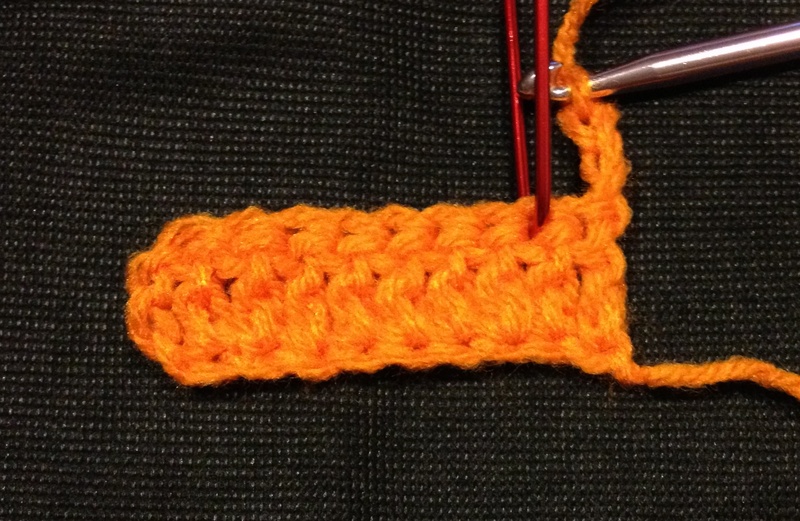 Complete a treble crochet stitch (yarn over, pull through two x 3). Continue this way until you get to the end. For the final stitch, you will insert your hook into what would be the fourth chain of the chain-4 that you did in row 1. So there you have it. I absolutely hope the information proves helpful to you. For crochet tips, patterns, and news follow me on Twitter @noemijgarcia.